My second year with Rails has been increasingly team oriented, using online collaboration tools like GitHub, PivotalTracker, Atlassian BitBucket, CodeBaseHQ and Assembla. Even though I was productive with Windows for a year on a one person project I’ve now joined my colleagues in using OS X with RVM. My use of TDD has continued with adoption of Cucumber, RSpec, FactoryGirl and Spork, and for better or worse I am now using MySQL more than PostgreSQL. The past year has seen the release of Ruby 1.9.3 (October) and Rails 3.1 (August) and 3.2 (January). Ruby 1.8.7 has been scheduled for no further support after June 2013. Two of the most popular Word Press performance plugins are W3 Total Cache (W3TC) and WP Super Cache (WPSC). W3TC provides a collection of different features including page caching, minification, database object caching and transparent CDN integration, whereas WPSC focuses specifically at caching generated HTML. W3TC has integration with CloudFlare, provided by DreamHost, but DreamHost’s default install of WordPress includes WPSC instead, reportedly because W3TC consumes more memory, at a premium in a shared hosting environment. Time to generate the HTML text is awful. Although overall average load times were reduced slightly they were also more erratic, some page loads occurring faster, and others much slower. At least time to generate HTML is improved. 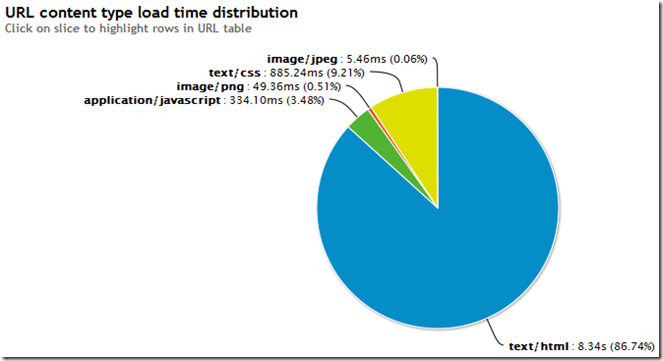 Although there are hints of a performance drop with more users the page load performance is consistently better. The impact on HTML generation is dramatic. For now I think I’m going to stick with WPSC and look for other ways to optimize my CSS load times. Sometimes supporting multiple clients or projects can result in a need for more than one version of MySQL on the same workstation. This can be a pain, especially with the Ruby native mysql2 gem that can fail with a cryptic ‘failed to allocate memory’ when used with the wrong client libraries. To address this I’ve started using Bitnami’s RubyStack. Bitnami’s stacks provide a graphical installer that allows you to quickly specify a non-standard installation location and ports for your developer infrastructure so you can easily install the stack alongside the project being supported. Be aware the Bitnami stacks are 32-bit. The stacks include graphical and command line tools to start and stop components, see the Bitnami wiki components for more details. Bitnami AIMs are also available on EC2, various deployment options are discussed in the RubyStack README. Red Hat recently launched their new OpenShift PaaS service based on their acquisition last year of Makara. Enterprise customers, however, still have more complex requirements, including hybrid in-house/hosted infrastructure, and integration with specialized hardware appliances. Managing complex infrastructure is increasingly being automated using tools like Puppet and Chef. However, one of the limitations of Chef is that it does not install and configure the OS: for Fedora, RHEL or CentOS I have discovered and started using BoxGrinder. It appears that BoxGrinder was being nurtured by JBoss to complement their PaaS development prior to the Makara acquisition. First BoxGrinder was used last year by a JBoss project called CirrAS that created JBoss AS 6 cluster appliances, and then that appears to have segued along with Cooling Tower into SteamCannon, a Ruby based JavaEE PaaS framework. Publicly available artifacts from both these projects remain, but now we must wait for OpenShift to be open sourced. A requirement of projects like CirrAS and SteamCannon has been writing specs to package JBoss into RPMs. This was done previously by a JBoss employee contributing to the JPackage project but at last Red Hat is finally packaging JBoss AS 7 into Fedora. BoxGrinder is a JBoss Community project to build appliances based on Fedora, Red Hat and/or CentOS. It appears to build on an earlier project called ThinCrust. It takes a simple BoxGrinder appliance configuration (‘.appl’) file and uses it to generate a Red Hat kickstart file, which it then uses to build a KVM VM. Additional plugins can then convert the VM to other formats like Amazon EC2 AMI. BoxGrinder itself is supported on Fedora only, though it can create CentOS 5 appliances. As of writing a critical bug stops BoxGrinder from building CentOS 6.x images. The best way to build appliances for Amazon EC2 is to use the provided BoxGrinder meta-appliance AMI to create an EC2 instance: BoxGrinder meta works best with at least 2G RAM to build i386 appliances. Having gems pre-converted to RPMs is better than trying to use gem install during build post-processing.